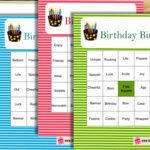 You can download Free Printable Birthday Bingo Game Cards in 4 different colors from this page. There are 20 different game cards in each set and one caller’s checklist. 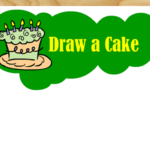 This game can be played on a family birthday party and also on an adult birthday party. 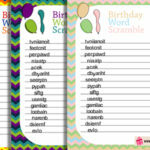 I have tried to use all the birthday related words in these bingo cards. 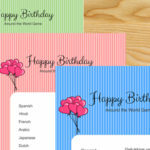 I have made these cards in light brown, green, pink and blue colors so you can download the ones that match the theme of your birthday party. I have made zip files of these cards which are absolutely safe to download. 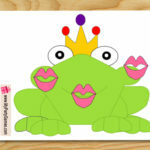 Print and distribute the cards among your Birthday party guests along with a pen or pencil. Now take caller’s checklist and randomly call words written on it. The guests will have to mark the words on their cards when it is called. 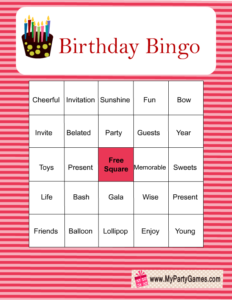 The guest who will complete a row diagonally, horizontally, or vertically first should shout the word ‘Bingo’ or you can ask them to shout ‘Happy Birthday’ and that guest will be the winner. 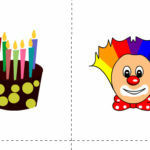 In case of distributing duplicate cards, you have to make it clear that the guest who will shout ‘Bingo’ or ‘Happy Birthday’ FIRST will be the winner. You can also cut the words from callers checklist and put those in the jar and then randomly take out the words and call one by one. Click on the image above to download this birthday bingo game cards in green color. There are 5 words in each row and there are 5 rows in this bingo game. 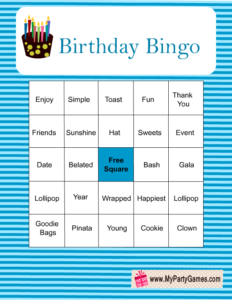 Click on the image above to download these free printable birthday bingo cards in blue color. 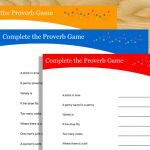 There are 20 free printable cards in each zip file. 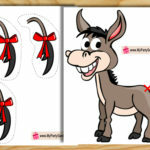 You can use this set of cards for any boy birthday party. 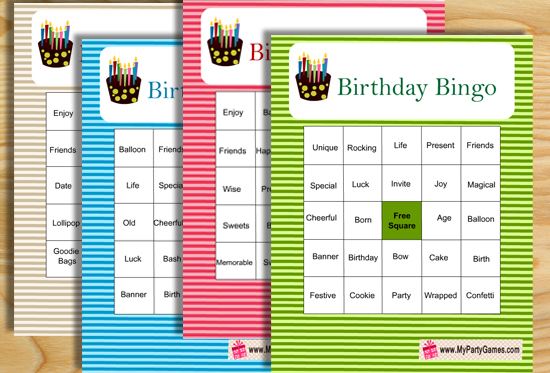 Click on the image above to download these bingo cards in pink color for a girl birthday party. 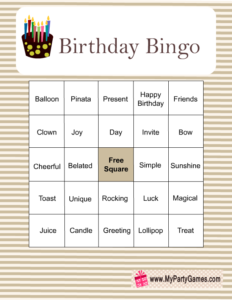 Click on the image above to download this birthday bingo game card in light brown color. 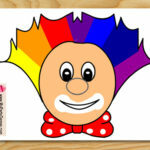 Please do not forget to leave a comment below about this game.